Metal Sheds: Who has the best metal shed in the UK? 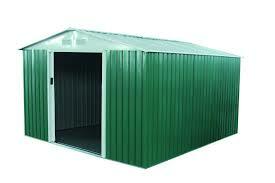 If you’re looking for top quality metal sheds, then you’re not alone. Their combination of practicality and durability is very appealing, and they can often be cheaper to purchase than similarly sized wooden sheds as well. There’s a very wide range to choose from, in different shapes and colours, so selecting the one that’s just right for you can seem difficult. 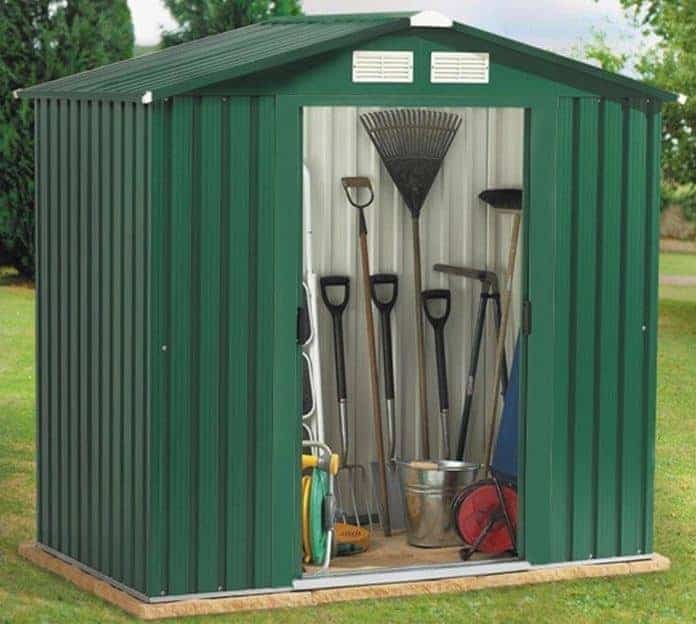 That’s why WhatShed have created this handy guide to the very best metal sheds that can be bought online in the UK today. In a moment, we’ll reveal the criteria we used to define a wooden shed. We were pleased to find twenty examples deserving of a place inside our league table, and we then ranked them by looking at factors such as cost, value for money, durability, aesthetic appeal, and value adding features like extended warranties. 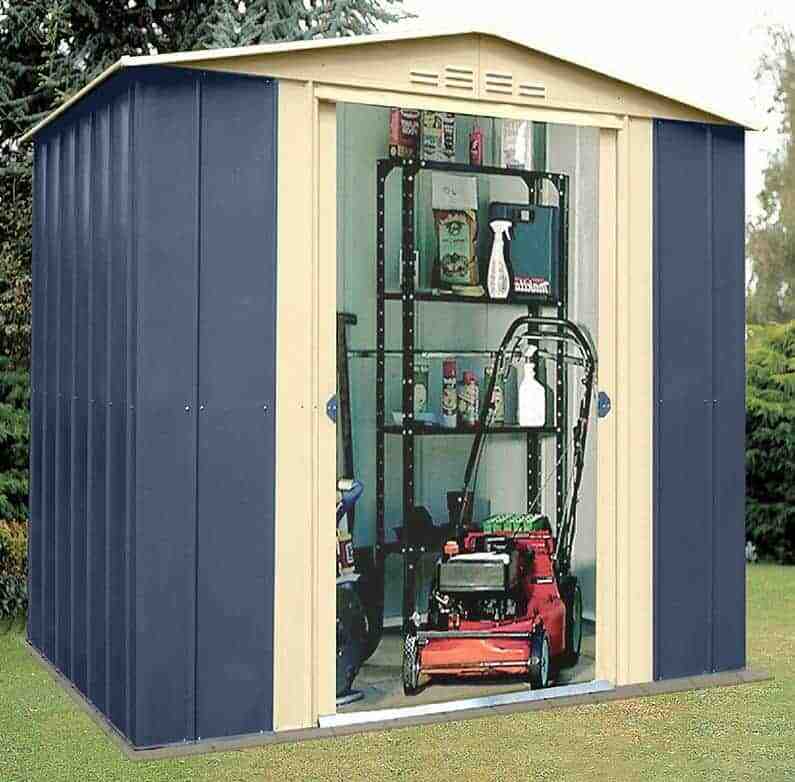 Metal sheds come in all sizes, from small and portable stores to large garden buildings that can be used as garages. 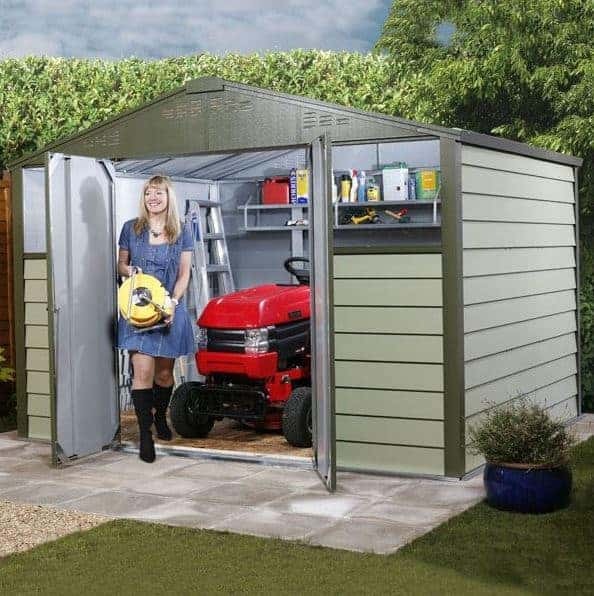 We wanted to concentrate on sheds that were designed primarily for gardening and storage purposes, which is why we’ve only considered sheds with a maxiumum base area of ten foot by twelve foot, thus ruling out models designed specifically as either garages or larger workshops. With such a diverse selection to choose from, selecting an overall champion was a difficult task. It’s well done, then, to the Shed Baron Grandale mountain blue shed. 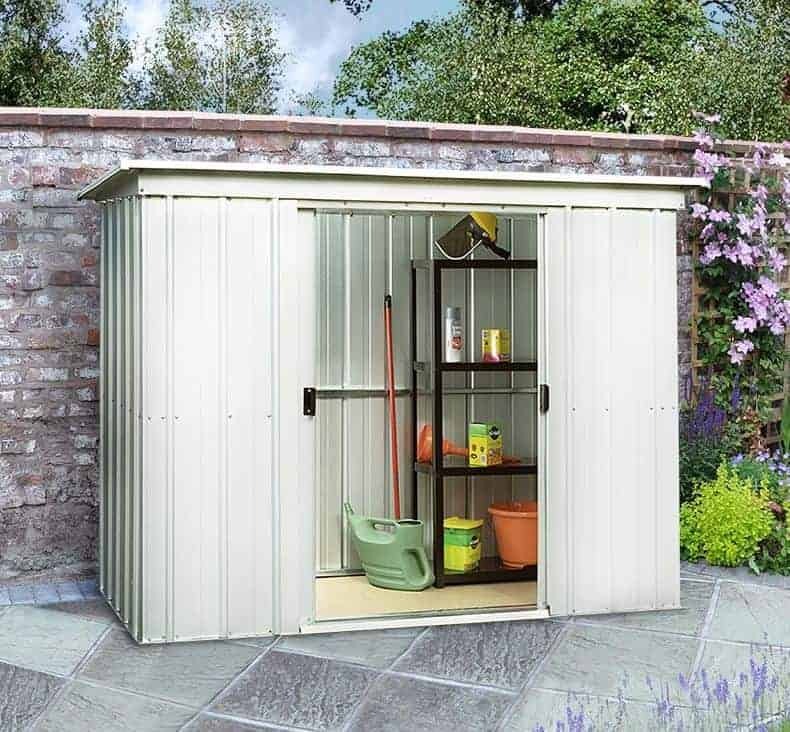 Thanks to its striking design, long warranty period, and great value for money, it tops our guide to the UK’s best metal sheds that can be bought online today. From sheds to greenhouses and play houses, WhatShed bring you independent reviews that can help you make an excellent purchasing choice. Whilst most people acknowledge that, thanks to their durability and relative ease of assembly, metal sheds are amongst the most practical garden buildings of them all, we know that some are put off by misconceptions about their looks. As this league table shows, a great quality metal shed doesn’t have to look silver and metallic. This compact apex roofed shed from Shed Baron caught our eye from the moment we saw it, thanks to a mountain blue colour scheme that’s really striking. We feel that this can become a garden feature in its own right, and not just a long lasting storage solution. The cream paintwork used on the double sliding doors and roof of these metal sheds creates a nice contrast with the blue, creating a very stylish whole. It’s not just the aesthetic appeal that impressed us, however. The manufacturer has supplied a 20 year guarantee against rust, which is as long as any that we see on the galvanised steel sheds we’ve reviewed. This also adds to the already excellent value for money offered here, coming as it does with an asking price of less than three hundred pounds for a shed with a base area of approximately six foot by five foot. This winning combination is enough to take the number one spot in our top twenty league table. Absco are a leading Australian manufacturer of metal sheds that are expanding into the UK, and we’ve been very impressed by what they have to offer. Their offerings couldn’t be described as the most visually exciting that we’ve seen, but they are amongst the toughest and most durable that we’ve reviewed. This model, at almost ten foot by twelve foot, is one of the largest in their range, and in our league table, so it’s a very versatile garden building. 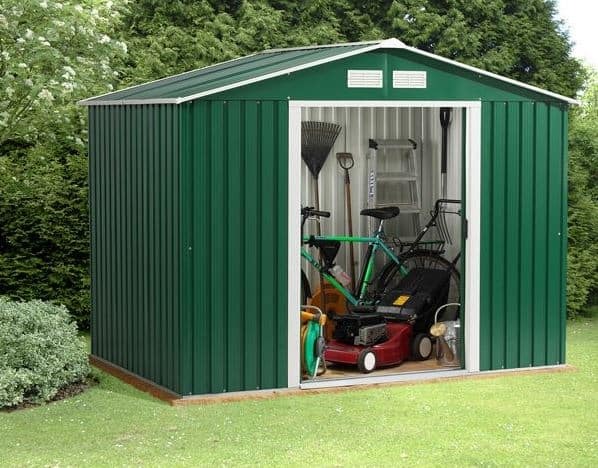 It can be used for storage purposes for a large garden, and we can also imagine it being used as either a workshop or as a garage thanks to its wide opening double hinged doors. What impressed us most about these metal sheds is just how strong and stable they should likely feel once assembled. They’ve been designed and tested to withstand winds in excess of ninety miles per hour, so this is a good choice if your garden is in an exposed area that can sometimes be stormy. It’s this toughness that allows Absco to provide a 20 year guarantee, which is something we rarely see but always welcome. 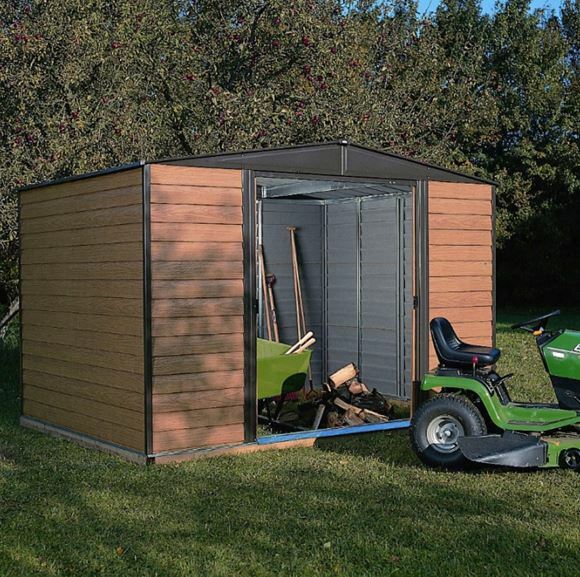 It should also be much easier to assemble than you might imagine for a shed of this size, thanks to its unique SnapTite assembly system that can save you time and money. 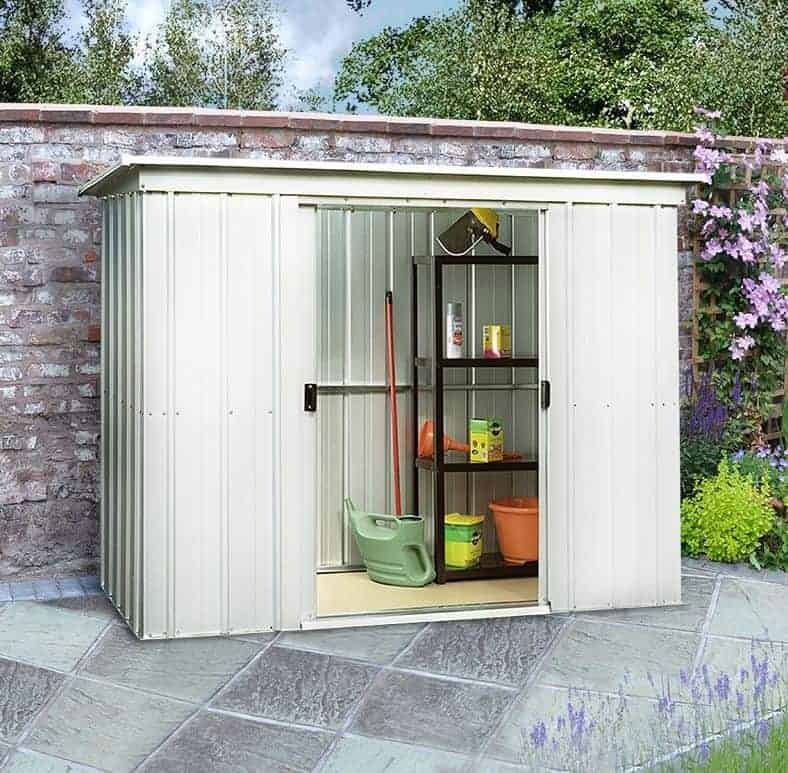 If you’re looking for generously sized metal sheds that blend unobtrusively into a typical garden background, then this 108SL shed from Yardmaster comes highly recommended. 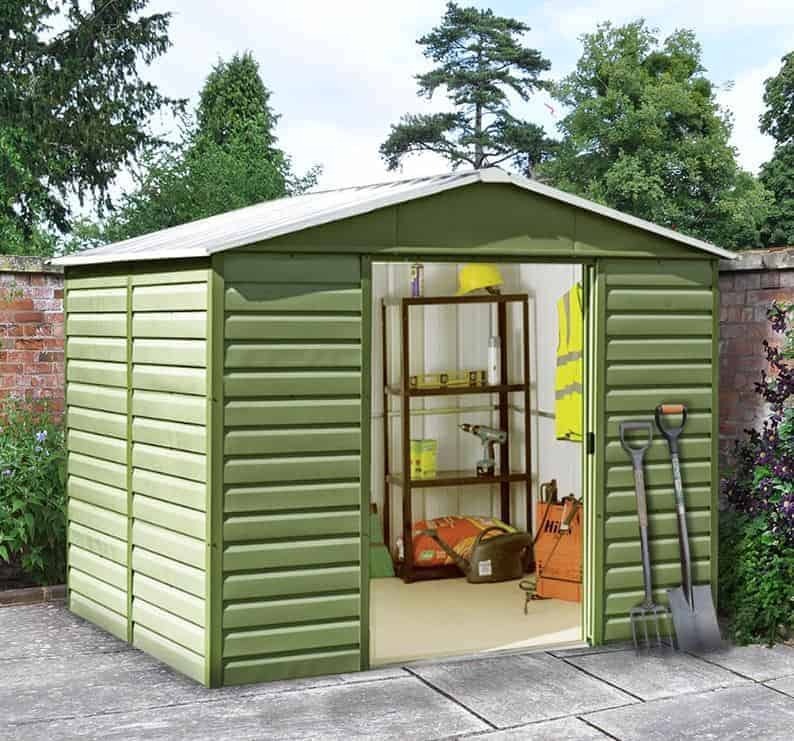 We often review metal sheds with a green colour scheme, but this one is much more natural looking than we usually see, with a lighter and more subtle shade of green used, and without contrasting white or cream areas. The tough galvanised steel cladding has also been arranged to look like shiplap timber, so that from a distance it looks remarkably like a green painted wooden shed. This makes it a good choice for those who want the convenience that a metals shed brings, but have previously opted for timber sheds. 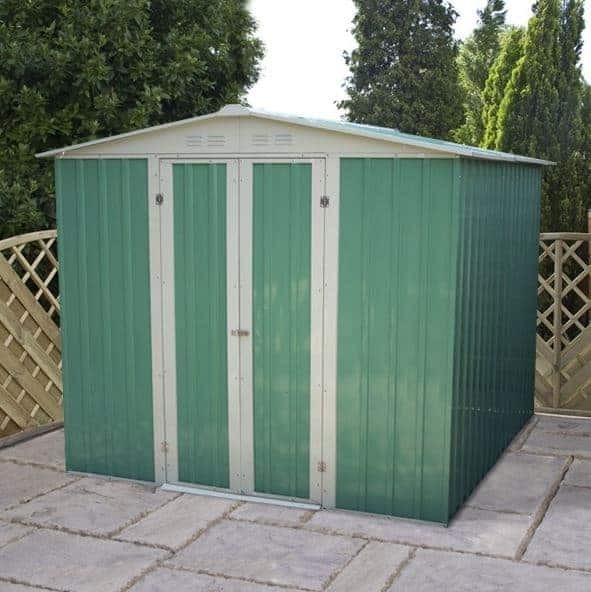 With a base area of approximately ten foot by eight foot, these good looking metal sheds have more than enough storage room available for most medium to large gardens, which makes their asking price of under four hundred pounds good value for money. This is enhanced still further by a 12 year warranty which is two years longer than we often see supplied with metal sheds. Another positive feature is its six foot eaves height, meaning that you shouldn’t have to worry about bumping your head when walking around inside, or when entering or exiting through the internally sliding double doors. These are the first metal sheds in our league table to feature a pent rather than apex roof. Whilst this means that they have a little less headroom, the peak height here is 1.75m or 5’9, it also means that they can be positioned underneath branches and overhanging foliage where apex sheds may not be suitable. It also means that this shed can potentially be hidden away behind a fence or wall, thus increasing its security by shielding it from prying eyes. With this in mind, we were also pleased to find that the handles on the doors were padlock ready. Once again these metal sheds utilise an eye catching and attractive all green colour scheme, although this time there is a little contrast around the two front facing air vents that help to defeat condensation. This can also help in the fight against rust, and we were very pleased to find that a 15 year manufacturer’s warranty against rust perforations was provided. This adds extra reassurance and extra value, and as this six foot by four foot shed costs not much more than a hundred and fifty pounds, we feel this is an excellent buy for somebody on a tight budget who doesn’t need too much storage space but who wants a shed they can rely on. This is the second of the metal sheds to be manufactured by Absco, which shows just how durable and reliable their models area. They do little to hide their metallic origins, however, opting for a silver grey colour known as zincallume. 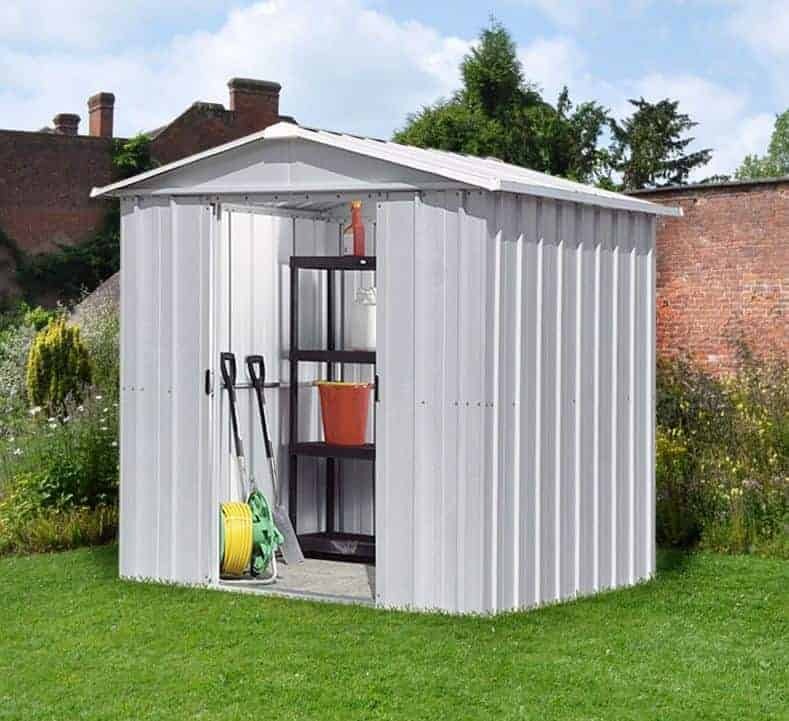 This is the only thing preventing this mid to large sized shed from gaining an even higher position, so if you like the contemporary look that a silver shed can bring, then you may want to look at this one a as a priority. Certainly we feel it represents good value for money, at well under four hundred pounds, particularly as it is very tough and stable, and comes with a 20 year guarantee against damage caused by rust. If you’ve never installed metal sheds of this size before, then you may find the prospect of doing so a little daunting. These cleverly designed and excellently fabricated sheds take all that worry away. The prebuilt sections of cladding simply snap into place along a guiding frame, meaning that you don’t need any specialist tools to complete the job. We were impressed by just how quick and simple the assembly process should be, and that can also negate the need to pay a professional to complete the installation. 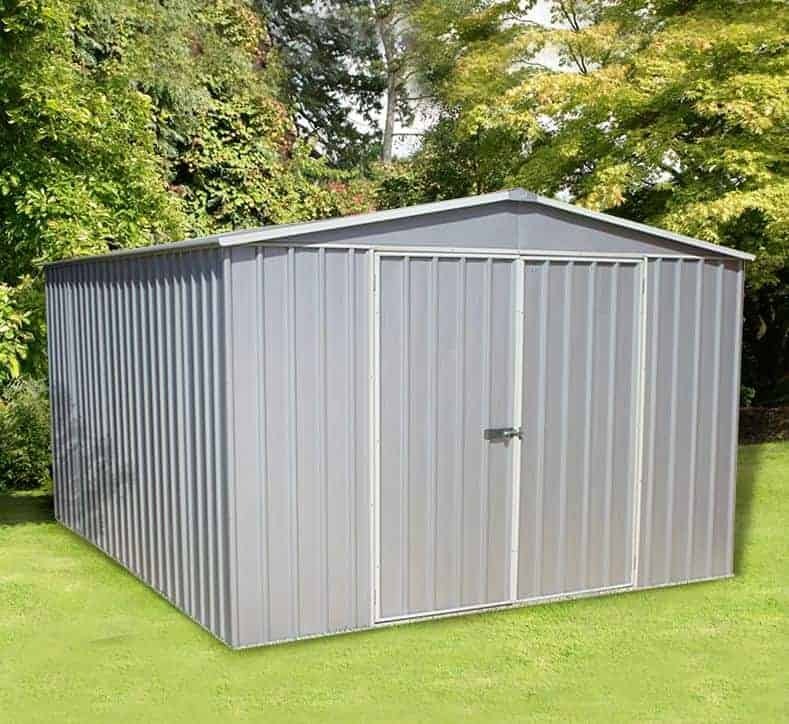 Whilst most of the metal sheds featured within this league table have an apex roof, we know that many people like the classic look of pent sheds such as this one. With an eight foot by four foot base area there’s enough room to fit a large selection of tools and even a lawn mower, and yet it means that it’s also suitable for gardens where lawn space may be limited. The pent roof also means that it may fit into spaces that would be out of bounds to apex roofed sheds because of overhead objects such as branches. We found the dark grey anthracite colour scheme used on these metal sheds pleasing on the eye, without being garish or too obtrusive. We were also pleased to find that the shed feels strong and sturdy once assembled, living up to its ‘Hercules’ name. A 10 year guarantee against rust perforations is included, but we wouldn’t be surprised to see this last much longer than the warranty period suggests. With this in mind, we feel that the asking price of less than two hundred pounds is outstanding value for money, particularly when compared to wooden or plastic sheds of the same size. It’s this that earns it a well deserved place in the top half of our league table. One of the things that we like most about the Rowlinson Woodvale range of metal sheds is that they adopt a brown colour scheme that gives it a traditional timber like appearance. This is even more important with a large shed, such as this ten foot by twelve foot apex roofed model, as we know that many people are adverse to having anything large and metallic looking in their gardens. The galvanised steel cladding has also been arranged in an overlap style, to emphasise its wood like qualities, and we found this to be tastefully and skilfully done. The paintwork on these metal sheds, golden brown for the walls and a darker brown for the frame and roof, is not only attractive it also adds an extra layer of protection against rain. That’s one reason why it is likely to last far longer than ten years without rust becoming apparent. If you want a large and spacious garden shed that has a classic timber like design, and yet that doesn’t need the regular maintenance that timber clad sheds often do, then this could be a smart choice. At not much more than five hundred pounds as well, it’s suitable for those who need a lot of storage space but who don’t want a large price tag attached to it. Just because you have a small garden doesn’t mean that you can’t enjoy the benefits that well built metal sheds such as this Greenvale model can bring. It won’t take up too much precious lawn space, thanks to its base area of around six foot by five foot, and yet there’s still enough room inside to fit a decent amount of gardening goods and equipment in. 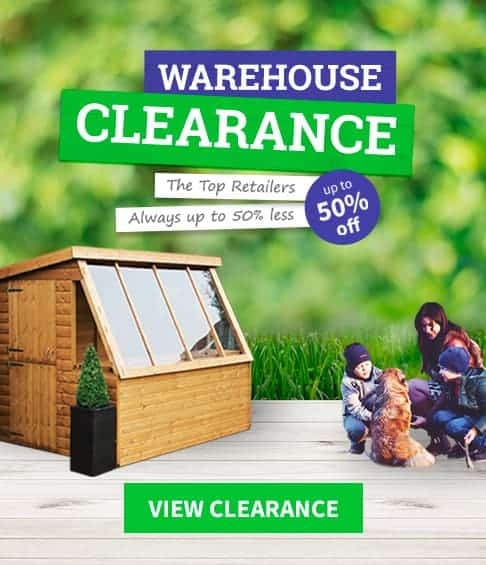 The ridge height of 1.90m means that there is likely more room inside than you might think, and this can easily be exploited for storage purposes with the addition of some stand alone shelving units. Like all of the metal sheds featured within this WhatShed league table, there are no windows. That means that passers by will have no way of telling if anything valuable is being stored inside, which makes it less likely in our opinion that it will be targeted by opportune thieves. That’s why we were were pleased to see that a padbolt system is in place with the double sliding doors, which are coloured cream in contrast to the prevailing green. Whilst the padlock itself will need to be bought separately that needn’t be an expensive purchase, and it doesn’t detract from the great value that earns this shed a place inside the first half of our league table. 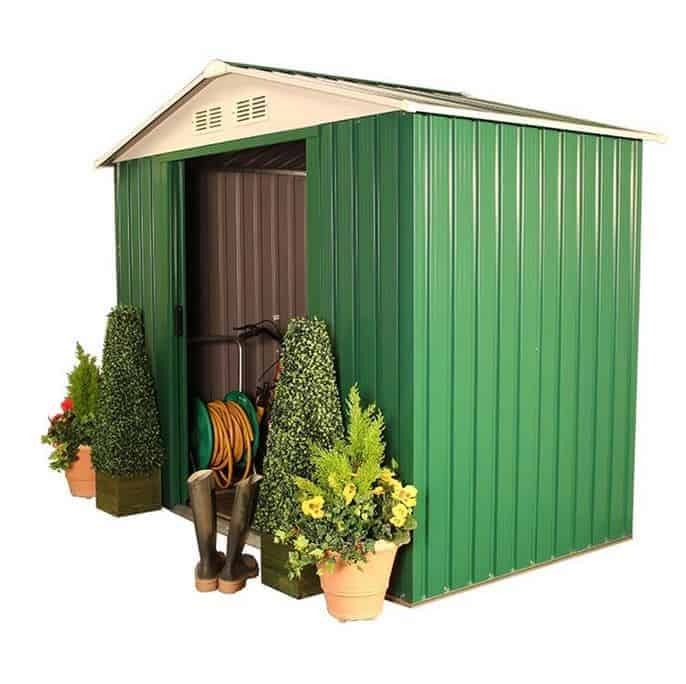 Six foot by seven foot metal sheds such as this one are an ideal size for mid sized gardens, and at not much more than two hundred pounds this is also highly affordable. The first thing that grabbed our attention was the wholly green colour scheme adopted by Waltons, and this means that it should fit in nicely with traditional gardens that contain lots of greenery. We were also struck by the use of double hinged doors, rather than the sliding doors that we often see on similarly sized and priced metal sheds. This should make it very easy to move wide or bulky objects in and out, especially as they have an accommodating width of 0.80m. It was also good to see that the doors could easily be secured with a padlock, an important consideration when reports of shed crime are so prevalent. Once again, we were pleased to find that these metal sheds come with the reassurance of a 10 year guarantee. 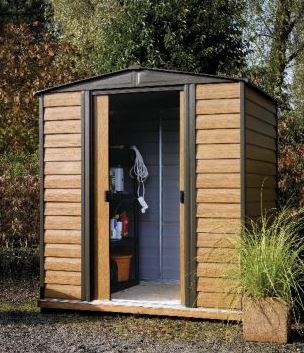 Unlike most wooden sheds, of course, this guarantee doesn’t need any annual treatments carried out in order to keep it valid, which is why well built metal sheds such as this one can be a smart choice for keen gardeners who don’t have the time or money to spend on adding preservative coatings every year. One of the great benefits of metal sheds is that compared to sheds made of other substrates they often represent exceptional value for money, and whilst they may lack the stylistic flourishes that many wooden, and some plastic, sheds have, it certainly doesn’t mean that they’re lacking in quality. 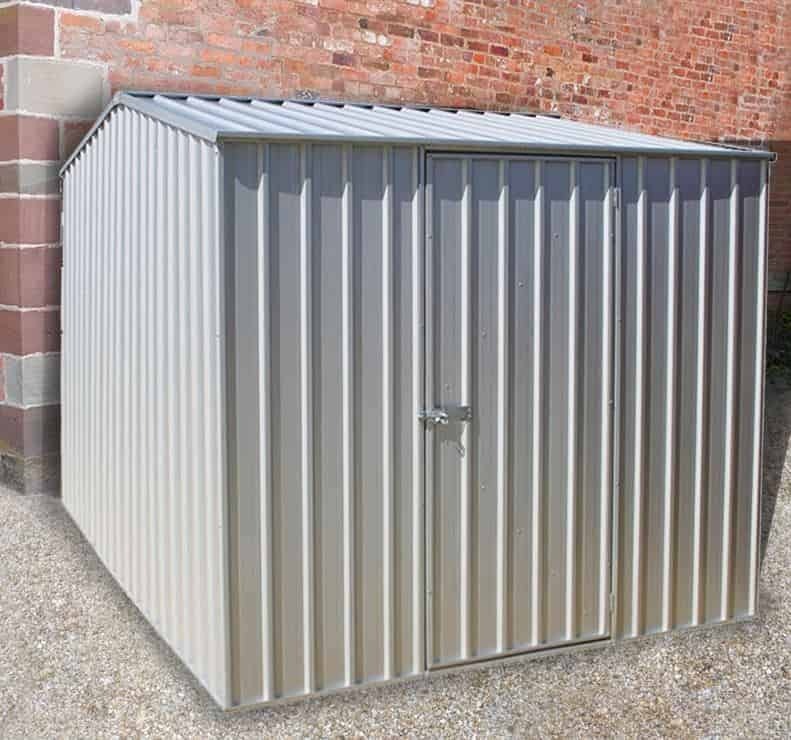 These six foot by four foot metal sheds from Yardmaster are clad in zinc plated steel that gives it excellent durability and weather resistance, which is why the manufacturer has been able to give a 10 year warranty against rust. We feel that the asking price of not much more than a hundred pounds is very good value for money for a shed that’s made by such a reputable and well established company, and it’s this that gains it a place inside our top ten. These metal sheds are not only the cheapest metal sheds in our top twenty league table, they are also the most compact. That in itself, however, can be an advantage for those who only have a small garden with limited lawn space. We can also imagine this being used as a second shed, or even being used as a storage solution for a caravan or mobile home. Because the substrate is non-flammable it complies with the fire safety regulations that many caravan parks have in place, and being relatively small and lightweight it’s also easy to transport and then assemble on site. 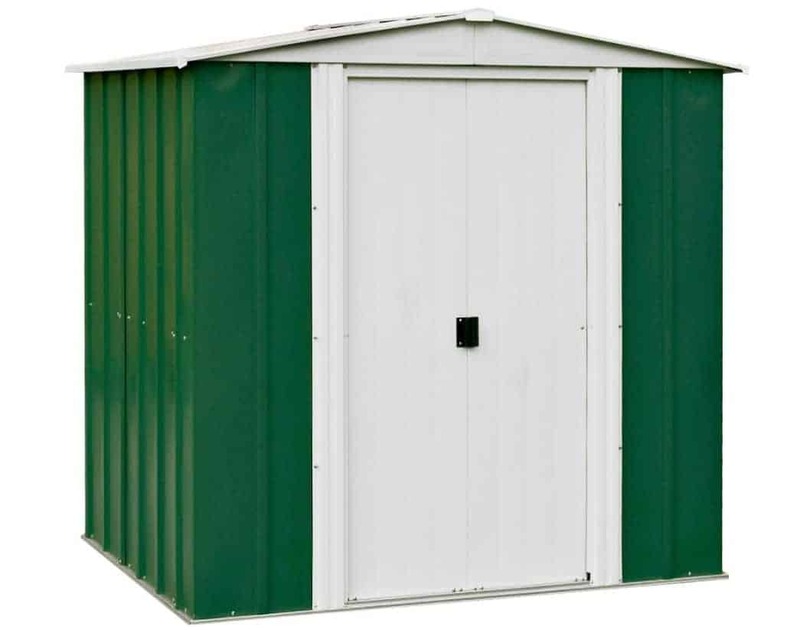 This is the smallest of the three Absco sheds to gain a place in our guide to the twenty best metal sheds that can be bought online in the UK today. At five foot by seven and a half foot however there is still enough room inside for it to function as a mid sized storage shed, but it may not represent quite as good value as its stable mates that we looked at earlier, which explains their relative positions. 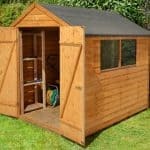 We were still pleased to find the strength and durability that we’ve come to associate with this make, though, so if you want a small to mid sized shed that will last and last, then this could be your perfect purchase. It’s also protected by a twenty year guarantee against rust, so you won’t have to worry about it being outside in adverse weather conditions year after year. One thing that makes these Absco metal sheds differ from the two examples we’ve already looked at is that it has a more vibrant colour scheme. Gone is the silver zincallume finish, and in its place is a pale green that has been called ‘eucalyptus’. It still has the same solid no nonsense look however, but this in itself can help to deter thieves who are in search if an easy target. It looks tough, and with the addition of a padlock it will act tough as well. 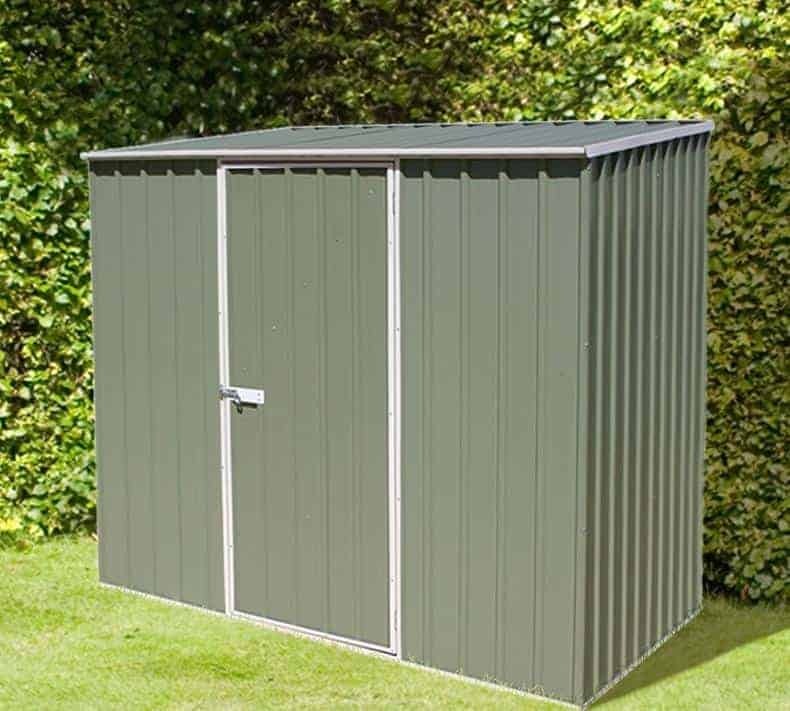 We’ve reviewed metal sheds in many colours, but whilst we always like garden buildings that offer something a bit different visually, that doesn’t mean that silver sheds such as this one from Yardmaster don’t have advantages of their own to offer the consumer. First among these is that naturally metallic looking sheds are often cheaper than their coloured counterparts, and that’s certainly the case here. The asking price of just over two hundred pounds is not a lot of money for a mid sized storage facility with an eight foot by six foot base area and an apex roof that reaches up to 1.89m. Whilst it’s true that the stark and straightforward design of these metal sheds may not be to everyone’s liking, we think that they have a very contemporary feel about them. We can also see them blending in well with garden environments with lots of white PVC on show. We were pleased to find that galvanised steel has been used throughout, and a resin coating adds another protective layer, meaning that we wouldn’t be surprised to find these sheds still going strong long after their 10 year manufacturer’s warranty period against damage caused by rust perforations has come to an end. British racing green is a classic colour that’s sure to catch the eye, so we were pleased to see it used for these six foot by six foot Anston metal sheds from BillyOh. The paintwork as a whole is lifted, in our opinion, by the use of white for the two air vents and on the centre and corners of the apex roof. It’s a little touch, but one that helps to elevate it above its less stylish competitors. 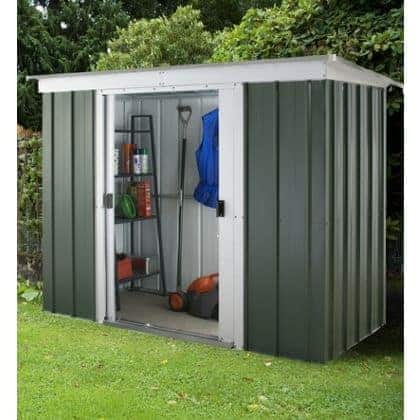 With a great value price tag of less than two hundred and fifty pounds as well, this helps it earn a place inside our league table of the very best metal sheds. There’s one other feature of these metal sheds that really stood out for us, and that’s the inclusion of an entrance and exit ramp leading out from the sliding double doors. It’s something we always welcome and yet don’t often see, as it makes it very easy to manoeuvre objects in and out of storage using a wheel barrow or a trolley. 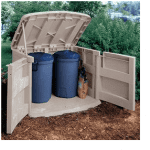 For that reason, we feel that this would be an excellent choice for a keen and yet small scale gardener who is looking for a weather protected place to store bulky or heavy items such as bags of soil or aggregates. Most of the metal sheds that we review are supplied without a floor, meaning that they have to be anchored directly onto a level area of concrete, or alternatively onto a flat patio or paved area. This eight foot by four foot pent roofed shed from Yardmaster provides an ideal, and very cost effective solution, for people who don’t already have such a pre-existing area ready to be used. It comes with an anchor and floor support kit that can be used to easily lay a flat concrete floor. Alternatively it can be used to support a timber floor. No such floor is included, but it needn’t be an expensive addition, and it’s ideal for those who like the look and warmth of a real wooden floor beneath their feet. 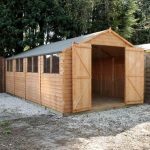 The inclusion of this kit makes adds even more value for money to what were already very reasonably priced eight foot by four foot metal sheds. 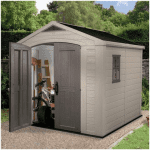 It comes with the 10 year warranty which is very much a standard offering for well built steel clad sheds, but it should prove to be a durable and reliable addition to the garden. Only its uninspiring silver colour scheme prevents this from gaining a higher position within our league table. The contrasting green and white colour scheme used by these Ashington metal sheds is a classic combination as far as we’re concerned, mixing nicely with the garden landscape but with an added touch of style. It’s not all that impressed us about these compact sheds, however, for what we found most impressive was the asking price of less than a hundred and fifty pounds. We have seen even cheaper six foot by four foot metal sheds available, which is why this finds itself in the bottom half of our top twenty league table, but it’s still very good value for money for such a well executed shed. The combination of sliding double doors with an integral ramp makes it simplicity itself to move things in and out of these metal sheds, which adds even more practicality. The two large vents on the front should also make it a pleasant and airy environment to spend time in, although the peak height at the top of the apex roof of 1.77m will likely mean that you might have to bend down a little when entering or exiting the shed. If you have a small lawn space available, and a small budget with which to buy a shed to put on it, then we feel that this provides a lot of quality for not a lot of money. Metal sheds are much easier to maintain than wooden sheds, and in fact all they usually need is an occasional clean down. That’s one of the biggest advantages that they hold over a wooden shed, and thanks to these Woodvale sheds, metal shed owners don’t have to forego the good looks that traditional timber garden buildings typically have. The colour scheme is referred to by the manufacturer as ‘coffee’, which means that it contrasts light brown with a darker brown in an effect that we found very reminiscent of timber cladding, particularly from a distance. With a base area of six foot by five foot, this shed is approximately half the size of the larger Woodvale model that we looked at earlier. This means that they are less flexible, being unsuitable for use as a workshop for example, which is why this is placed lower inside our league table. One major advantage that it holds over the majority of metal sheds that we review; it has its own integrated floor. This can make the installation process much quicker, and it also means that the consumer won’t have to pay extra for additional floor or anchor kits. The floor also helps to keep any objects that are stored inside this shed above the often cold and damp ground level. As we’ve already seen in this league table, BillyOh metal sheds are well built and reliable garden buildings, so we were pleased to find that this large Archer model lived up to that reputation. 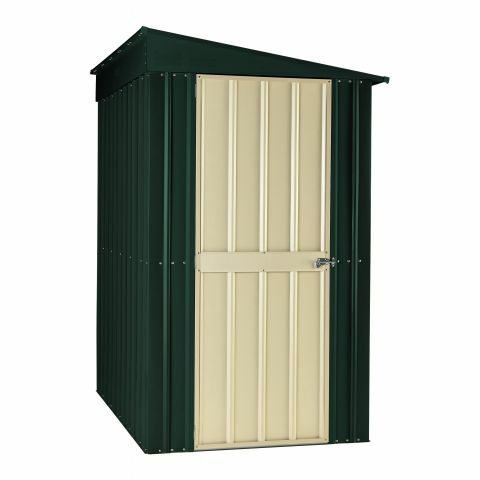 Once again it features a green and white combination that features on so many of the best metal sheds that we review, and because this shed is so generously proportioned we found it even more eye catching. The feature that first caught our eye was the set of double sliding doors, which are noticeably taller than many of the doors we see. 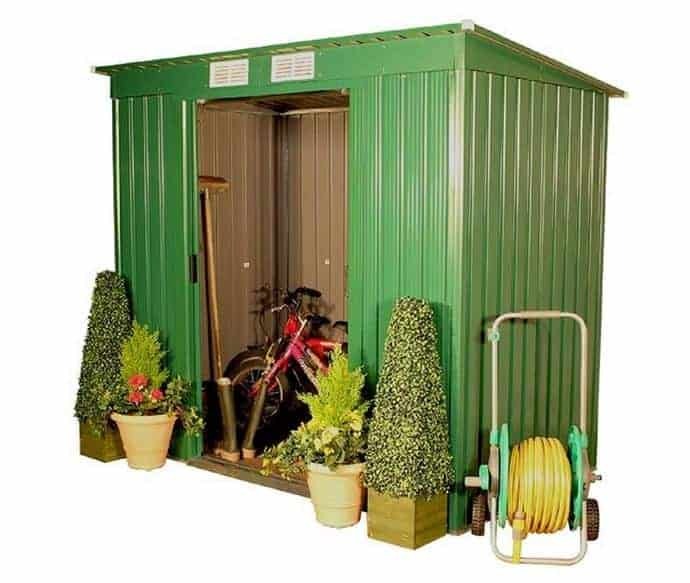 This can come in especially useful if you plan on using the shed as a small scale workshop, a task that we feel it’s very suitable for, as it makes transporting items of machinery in and out easy. These metal sheds would also make an ideal all weather store for motorcycles, as the galvanised steel cladding is non-flammable and very weather resistant. This is backed up by the manufacturer’s 10 year guarantee against rust damage occurring. The thickness of 0.25mm is a little thinner than we sometimes see in steel sheds of this size, however, which is why it takes a position in the lower half of our league table. The metal sheds in this WhatShed league table share many of the same features, in that they all have a security boosting window free design and they all have either an apex or pent roof. This four foot by eight foot Lotus model, however, still manages to have a look all of its own which is both practical and eye catching. That’s because it’s the only lean to shed to gain a place in this guide. It’s not often that we see lean to sheds made from steel, as this one is, but it does bring a lot of advantages. Being designed to be positioned against a wall it can become a much more stable structure, and the added protection of the wall can also help to keep rain and therefore rust away. We also liked the dark heritage green colour scheme used by these metal sheds, so it should make a stylish addition to any garden. 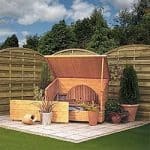 The four foot by eight foot base area puts this among the smaller sheds in this list, but that and its lean to nature makes it particularly suitable for gardens where lawn space is at a premium. We found a lot to recommend this shed, but we know that the lean to design will not be suitable for all which is why it takes a place in the final three of our league table. The base area of 2.61m x 2.42m puts this firmly among the mid sized metal sheds within our league table, and that means that it’s a very versatile garden building. 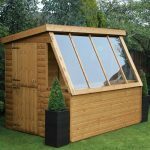 It’s large enough to spend time inside in some comfort, and the apex roof’s ridge height of 2.03m should mean that it feels more roomy than you might expect, and yet it won’t take up too much space and dominate the garden as a whole. It’s also large enough to store a lawn mower and maybe a bicycle or two alongside the usual selection of tools and gardening equipment. This is a very classically styled shed, with its apex roof and the walls painted in a dark green colour, with white detailing and white sliding doors. It caught our eye from the moment we saw it, and we feel that it should appeal to lovers of timber sheds as well as those who have already discovered the substantial benefits that metal sheds can bring. It is, however, a little more expensive than some eight foot by eight foot sheds that we say, with an asking price approaching four hundred pounds. This is why it finds itself in the bottom three of our league table, but if you don’t mind paying a little more for a high quality and good looking garden shed then we feel this would be a good choice. We always welcome metal sheds that represent good value for money, and that are readily affordable to a large number of consumers. Sometimes, however, a shed has so many positive qualities that it has to be included in our league table, despite having an asking price that may put it beyond the means of some. That’s the case with this ten foot by eight foot Titan shed from the Trimetals range. Its price tag of over fifteen hundred pounds may put some people off, which is why it has to be content with the final spot in our WhatShed guide, but it has a lot to offer to those with larger budgets. What instantly stood out for us were the two acrylic windows on either side of the large hinged double doors, a feature unique among the metal sheds that we’ve reviewed. We were also pleased to find that the galvanised steel has been coated in PVC, adding extra visual appeal and making it very weather resistant and durable. It’s for this reason that the manufacturer has been able to provide a very long lasting 25 year panel guarantee, which is longer than any we’ve seen supplied with a metal shed. Another unique feature that we were pleased to see was the inclusion of a key operated lock, meaning that this is not only durable but secure as well.